In the face of their increasingly widespread distribution, the FDA today ordered labelling changes on all prescription testosterone products. The new labels will explicitly warn of the risk of abuse and the litany of serious adverse health impacts associated with testosterone treatments. Liver toxicity, male infertility, heart failure, stroke, and neurological effects like increased aggression and depression are all risks linked to the hormone. Per the Anabolic Steroids Control Act of 1990, testosterone drugs are designated Schedule III controlled substances. Today’s labelling order will also affect other androgenic anabolic steroid products. Long-known as a substance of abuse among athletes, testosterone products have become massively popular in recent years among the general public. An influx of recent commercials advertising gels as a solution for “Low-T” illustrate both the appeal and the potential problem: this one spends 30 seconds setting up the drug and its benefits and twice that explaining warnings and drawbacks. Experts have argued that the glut of such advertisements constitutes “disease mongering.” Domestic sales of the products increased from $324 million in 2002 to $2 billion annually in 2012, a number that continues to rise. A 2013 study published in JAMA Internal Medicine found that androgen replacement drug use had increased three-fold between 2001 and 2011, though over a quarter of all those prescribed had not received a blood test to actually determine if their testosterone levels were low. Testosterone gel use, in particular, increased five-fold over that period. 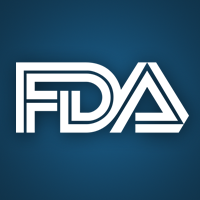 According to today’s FDA announcement, “The new Warning will alert prescribers to the abuse potential of testosterone and the serious adverse outcomes, especially those related to heart and mental health that have been reported in association with testosterone/AAS abuse.” This is the second warning label update from the FDA in as many years, following a less comprehensive requirement issued in March of 2015.